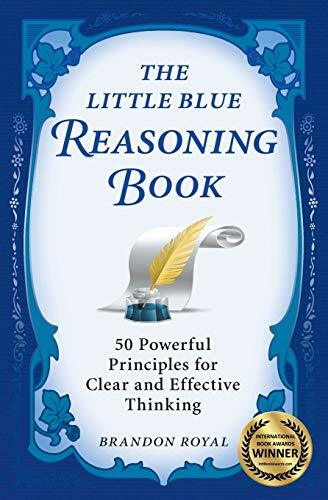 [PDF] The Little Blue Reasoning Book: 50 Powerful Principles for Clear and Effective Thinking (3rd Edition) | Free eBooks Download - EBOOKEE! Description: THE LITTLE BLUE REASONING BOOK is based on a simple but powerful observation: Individuals who develop outstanding reasoning and thinking skills do so primarily by mastering a limited number of the most important reasoning principles and concepts, which they use over and over again. What are these recurring principles and concepts? The answer to this question is the basis of this book. Interwoven within the book's five chapters â€” Perception & Mindset, Creative Thinking, Decision Making, Analyzing Arguments, and Mastering Logic â€” are 50 reasoning tips that summarize the common themes behind classic reasoning problems and situations. Appendixes contain summaries of fallacious reasoning, analogies, trade-offs, and a review of critical reading skills. No comments for "[PDF] The Little Blue Reasoning Book: 50 Powerful Principles for Clear and Effective Thinking (3rd Edition)".